When you hear the words “Star Wars”, you invariably picture Darth Vader, the most iconic villain in movie history. Back when there were a few people who didn’t like Star Wars (people have always loved it, sure, but since 2015 it seems that everybody in the world has jumped on board), even those naysayers still knew about Vader—and they probably secretly thought that the “nerdy” character looked pretty darn cool. There is one Star Wars villain, however, that may give Vader a run for his money. He is Darth Maul, a Sith Lord who Palpatine trained before enlisting Dooku. With a devilish face of black and crimson, spiky looking horns atop his fearsome visage, and an undeniable skill with the lightsaber, Maul, as his name suggests, is a ruthless baddie with a conscience only for himself. Here, we will explore the history of this most malicious Sith Lord. Aside from some non-canonical works within Star Wars: Legends, we don’t know too much about Maul’s beginnings. We do know, however, that he originated from the planet Dathomir, a violent world full of malevolent humanoids who mirrored its bleak harshness. These creatures were the Nightsisters, a strange coven of witches that actually look like pale-skinned humans. Apparently, these witches somehow acquired the services of a race called the Zabrak, the males of which were placed on Dathomir as servants to the Nightsisters. The witch clan and the Zabrak lived apart from each other, but whenever a Nightsister arrived in their village, the males were all compelled to serve her every whim. The two races bred together so much that they seem to be essentially the same species. When a male is born, it is placed in the Dathomirian Zabrak colony; and when a female is born, she is raised by the Nightsister coven. It’s unclear what exactly the Nightsisters are and where they came from, but it’s possible that they descended from humans. The Zabrak on Dathomir are called the Nightbrothers, and their original species originated from the planet Iridonia. At some point, Darth Sidious got his hands on his very own Zabrak, a son of Mother Talzin—one full of hatred, power, and the markings of a warrior. He was christened Darth Maul, and Sidious trained him in the ways of the Sith, a philosophy that would remain with Maul for the rest of his life, even during—and likely causing—periods of lonely, nihilistic madness. During the events of The Phantom Menace, Maul was tasked with murdering Queen Amidala. 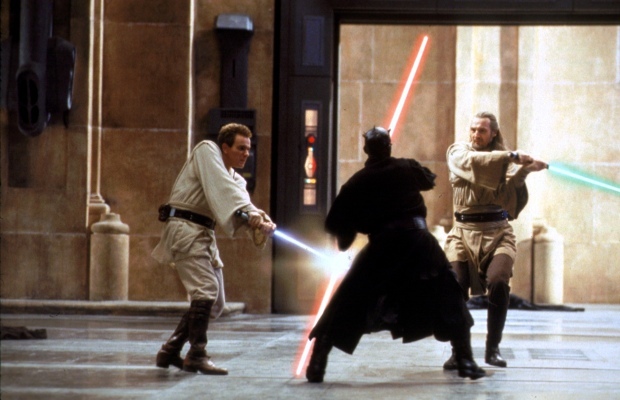 His plan was thwarted by Qui-Gon Jinn and Obi-Wan Kenobi, but Maul was able to kill Qui-Gon during the duel. Obi-Wan then cut Maul in half, and he tumbled down a reactor shaft. Everyone assumed that Maul was dead, but he actually ended up on a trash planet called Lotho Minor. He was literally half a man, and if the measure of a man is his character and selflessness, then he was not a man at all—just a vile, sadistic monster kept alive by his hatred for Obi-Wan. He lived below ground for over a decade, feeding off of vermin and whatever “treats” his snake-like associate, Morley, would trap for him in his lair. 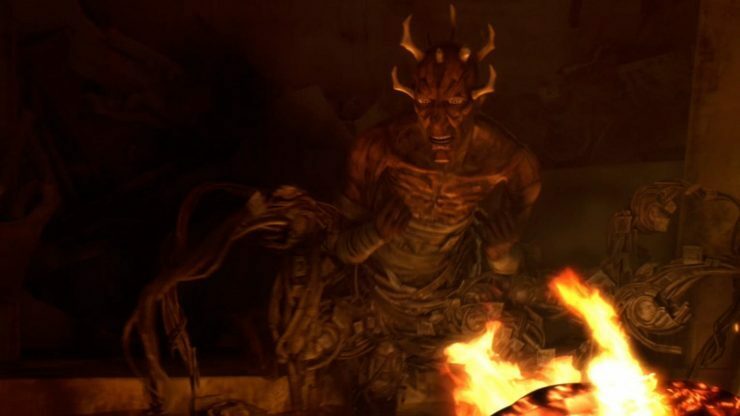 In the Clone Wars series, another Dathomirian, Savage Opress, discovered that Maul was his long lost brother, and he began searching for him among the stars. Savage had previously been used as a pawn by both Asajj Ventress of the Nightsister Clan and Count Dooku of the Sith, and his appetite for power and the inflicting of pain was almost as strong as his brother’s. These words echo the 19th century philosopher Friedrich Nietzsche, who believed that the goal of all life was power over others. A more conservative view of a mindset such as this is the belief in “the will to power” attributed mainly to power over one’s self—and the will to achieve all things is characteristically Sith. But the Sith also take it further by reaching for the power to absolutely dominate other individuals. Another thing hinted at in Nietzsche’s writings is the notion that pity and mercy are weaknesses—all life forms are seeking to be strong, and the inferior are allowed to feel stronger by being pitied or shown mercy. The creators of the fictional Maul in these episodes may have had Nietzsche in mind when they wrote this bit of dialogue, but the character, and indeed all Sith, definitely take it a bit too far, forgetting that common morality is just as much of an absolute as is the quest for power (Nietzsche himself seemed to reject or attempt to transcend morality, but he probably never took violent action, which may show that no matter what he said, he still thought that some morals actually did matter). Savage took Maul back to Dathomir. The head witch, Mother Talzin, used her spells and old droid parts to fashion a pair of bipedal legs for the former Sith. Her powers also restored his sanity—but the twisted philosophy and his hate for Kenobi were stronger than ever. It’s likely that Maul hated everything—absolutely everything and everyone—but Kenobi would always be at the top of his hit list. Maul became the Master of Savage, who initially resisted before realizing that his crimson brother was definitely the stronger. The two spread chaos across the galaxy, first by killing entire generations of people on the planet Raydonia. This was mostly to get the attention of the Jedi in order to trap Kenobi, but it would ultimately be the beginning of a larger scheme for galactic dominion. The brothers exercised their awesome power with no restraint, knowing that conquest would soon be within their grasp. At one point, the Zabrak brothers nearly destroyed Obi-Wan, but the Jedi found an unlikely ally in former Dooku apprentice Asajj Ventress, who also thought that Maul and Savage were too dangerous to be granted existence. The two Dathomirians lost their prize as Ventress and Kenobi barely managed to escape with their lives, but the brothers knew it was only a matter of time before they crossed paths with Kenobi again. They waited patiently for this moment as they began to recruit other villains in their wicked schemes. A gang of Weequay pirates were the first to join them, but the combined forces of Hondo and Kenobi drove the brothers back into space, alone and mortally wounded. They would surely have died had they not been rescued by the Mandalorian terrorist organization known as Death Watch. Maul promised to help them conquer Mandalore in exchange for their services, and a fierce criminal empire was born—the Shadow Collective. The group forced the Pykes, the Black Sun, and the Hutts to join them as well, and after the fall of Mandalore, the entire galaxy would be in serious jeopardy. The takeover of Mandalore went exactly as planned, at first. The leader of Death Watch, Pre Vizsla, feared that Maul would be seen as leader of the Collective, so he imprisoned him along with his brother. Of course, you can’t keep a Sith caged for long. Upon escaping, a furious Maul challenged Vizsla to a duel, the end of which saw Maul standing victorious over Vizsla’s corpse. This split the Collective—some pledged their allegiance to Maul, while others fled after the defeat of Death Watch’s leader. Mandalore was now controlled by a puppet government, with Maul pulling the strings. The former leader of Mandalore, Duchess Satine Kryze, sent out a distress call to the Jedi. The one who arrived to free her was none other than Obi-Wan, Satine’s former lover. Maul was about to get his revenge, though in a different way than he had anticipated. He murdered the Duchess right before Kenobi’s eyes, then imprisoned the mourning Jedi. After Kenobi escaped, the true Master Sith, Darth Sidious, arrived on Mandalore to deal with his old apprentice. Sidious knew that Maul was a threat—there can only be two Sith at one time, and Sidious already had Dooku (who, in the grand scheme of things, and by Sidious’ own design, would soon be replaced by Darth Vader). The Dark Lord defeated both Zabrak brothers, first killing Savage and then taking the battered Maul prisoner. After a few battles, Maul and his army captured both Dooku and General Grievous. Though Dooku pretended to be Maul’s ally for a while, the Nightbrother saw right through this and planned to use Sidious’ apprentice as a sacrifice for Mother Talzin. Before the sacrifice could be completed, Sidious arrived with General Grievous. After a duel in which Talzin possessed the body of the Count, Sidious destroyed the witch as Maul was rescued by his Death Watch followers. Later, the bulk of the Shadow Collective was crushed by the Separatists. Maul was now all but powerless, with no brother, no army, and no hope…but his weakness wouldn’t last. 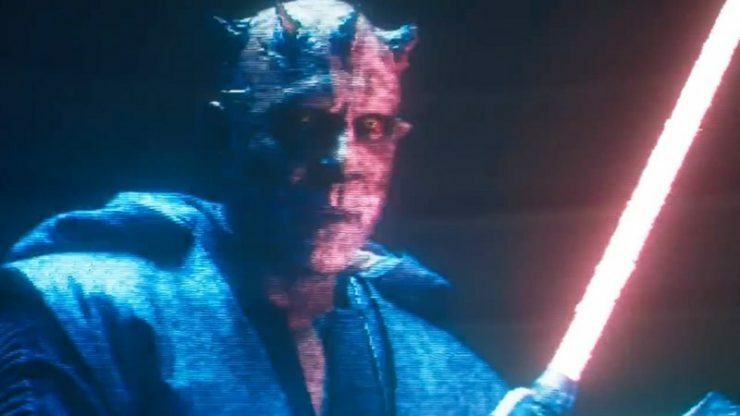 It was revealed at the end of Solo: A Star Wars Story, that Maul had become the leader of a new crime empire called Crimson Dawn. Not much is known about the circumstances surrounding this, but the one clear thing is that he was still angry, still menacing, and still evil. Before his death, Dryden Vos served as Maul’s subordinate, and Han Solo’s lover, Qi’ra, would most likely take his place. 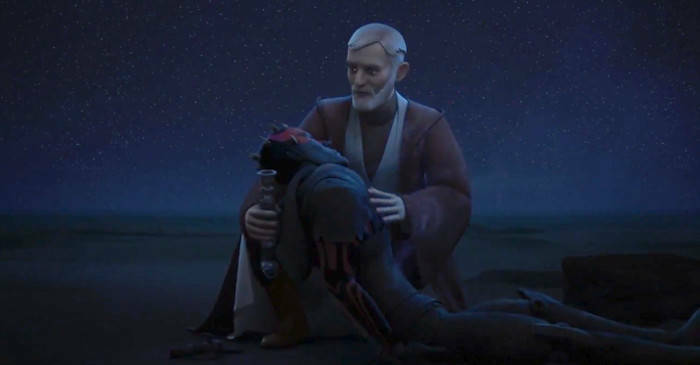 In Star Wars: Rebels, set sometime after the events of Solo, Maul had been alone on the planet Malochor for a few years, Crimson Dawn presumably no longer under his control. Padawan Ezra Bridger, Ahsoka Tano, and Kanan Jarrus arrived on the planet to search for a way to destroy the Sith, and Maul formed a relationship with Ezra that would lead to tumultuous events later on. Together, they retrieved a Sith holocron from the Sith temple and fought off the Inquisitors, but Maul double-crossed the group of rebels and blinded Jarrus with his lightsaber before losing the battle and leaving the planet. It was his aim to take Ezra as a new apprentice, and after he tracked the boy down again, the rebels were forced to help combine the Sith holocron with a Jedi holocron. The Sith and the Padawan were now psychically merged through the holocron connection, and this also led to visions and knowledge, including the fact that Maul’s sworn enemy, Kenobi, was still alive. When Maul and Ezra traveled to Dathomir, this fact was confirmed by Nightsister Magick. Though the Sisters had been dead for a long time, their power was still there on the planet, and it also revealed to Maul Kenobi’s actual location—Tatooine. After traveling to the home planet of the Skywalkers, Maul forced Ezra to walk the harsh desert alone in order to attract Kenobi. The plan worked perfectly, and as Obi-Wan arrived to help the boy, Maul appeared, eager to quench his vengeance once and for all. This, of course, isn’t what ended up happening—good will always conquer evil in the end. So ended the dark legacy of Maul, the most vicious of all the Sith. While Darth Vader could be quite ruthless, he was more of a tragic character than Maul, and it was actually possible to sympathize with him. 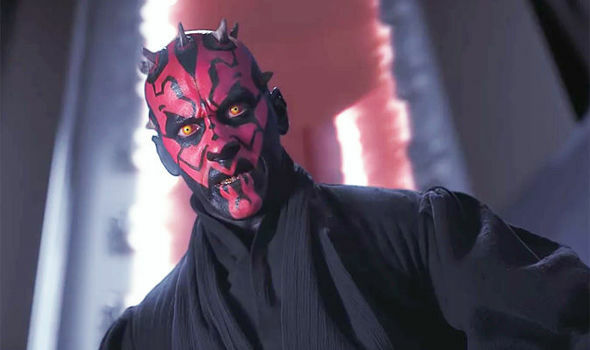 Maul, however, seemed to be the epitome of evil and aggression, and even though he was manipulated all his life by the Sith and the Nightsisters, it’s difficult to feel sorry for someone who represents violent hatred in its purest of forms. No matter which was the stronger, it’s undeniable that Maul was more characteristically evil than Darth Vader. Who would win in a fight- Maul in his prime, or Vader with his expertly controlled aggression? 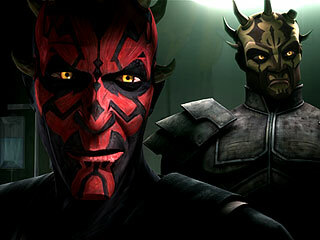 What is your favorite part of the Darth Maul legacy? Let us know in the comments, and don’t forget to Let Your Geek Sideshow!